After several weeks of deliberation and going through multiple applications, I’m pleased to announce the shortlist for New Talent Search 2016. First up is husband and wife team, Joel and Helena who set up Studio Haran after graduating from Falmouth University last Summer. 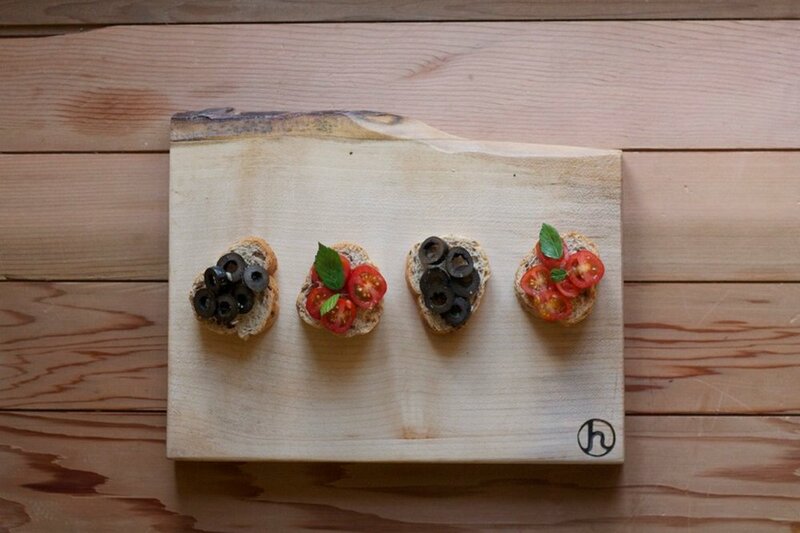 Their emphasis is on sustainability and using locally sourced materials to create their furniture and lighting pieces. Based in Cornwall, not far from where I grew up incidentally, they have steadily established themselves and their brand, and are testing the market with a few key pieces from their first collection. I absolutely love the honestly of the craftsmanship, and the way that sustainability is such an important aspect of their design ethos. Katie at Confessions of a Design Geek has also recently interviewed them which you can read here. 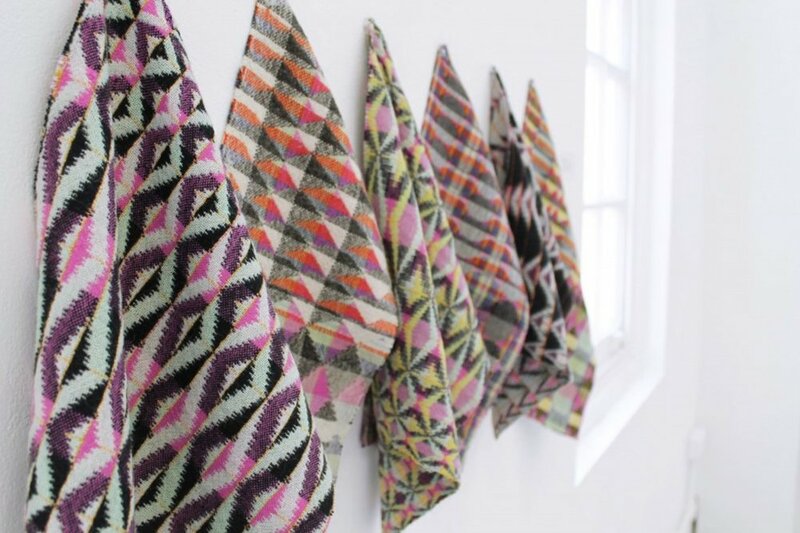 Second on my shortlist is textile designer Adriana Jaroslavsky. 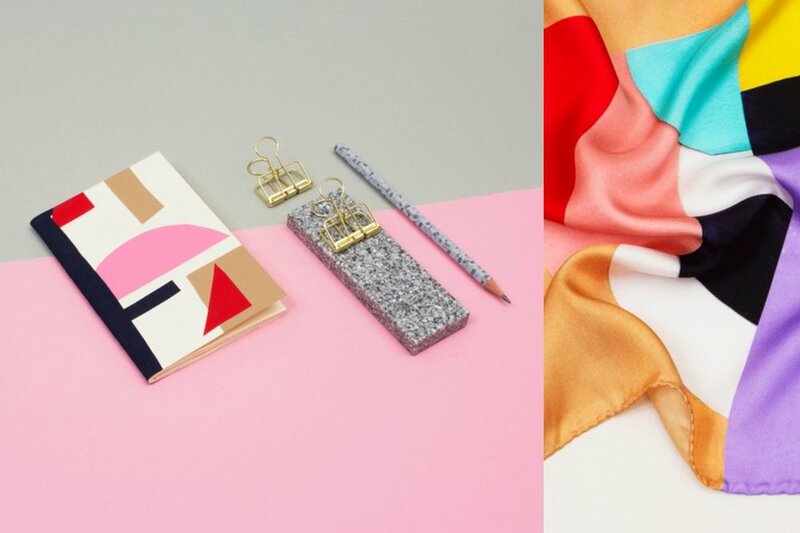 A recent graduate of Chelsea College of Art and Design, she has developed a signature style of bold, geometric shapes and colour combinations that she has converted to silk scarves, and more recently her first range of notebooks. Her experimental mark-making with a cross section of products, working without the constraints, and obvious order that tends to be a common theme today, means she was an easy choice as part of this year’s shortlist. 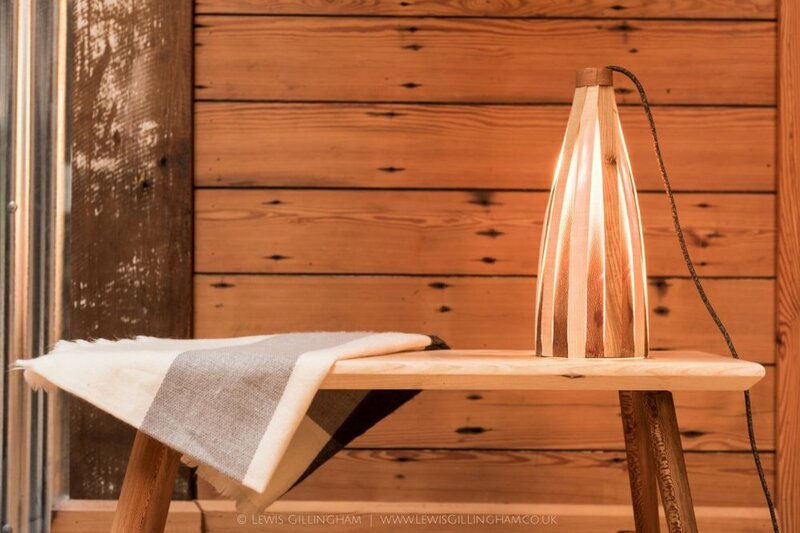 My final shortlisted designer is weaver Rowenna Mason. Based at Cockpit Arts Studio in Deptford, she has been honing her craft, building a strong portfolio of geometric, monochrome and colour blocking pieces, taking inspiration from London’s dynamic environment. In her own words, she ‘…brings together the best of traditional technique, rural materials, innovative design and urban inspiration…’ The softness, the modernity and skill in Rowenna’s work that translates to soft furnishings and upholstery won me over, and I can’t wait to visit her studio to see her work in progress. I would like to thank everyone that applied this year, it feels like the level of talent keeps going up, and it’s exciting to see the huge potential and range of UK based designers out there. We'll be back next year!